In the last weeks we worked hard to find a way to improve earnings on your blog. We run tests on a huge amount of blogs and we found out a few settings that could change for the better your cash out. We both worked on desktop and mobile, so you can appreciate a growing in earnings on both sides. First suggestion: use the Autopilot. 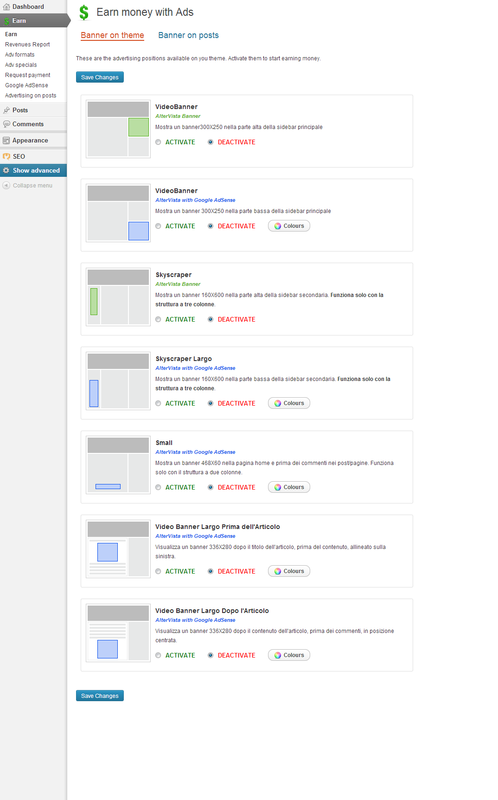 Autopilot is how we call the Ads System in Altervista that fills your blog with the best ads for your WordPress theme. It’s pretty easy to use it: Dashboard -> Earn -> click on Activate Autopilot. Advertisements that better fit in your current WordPress theme will be placed and you start to earn from them. Second suggestion: add a skyscraper huge (300×600). 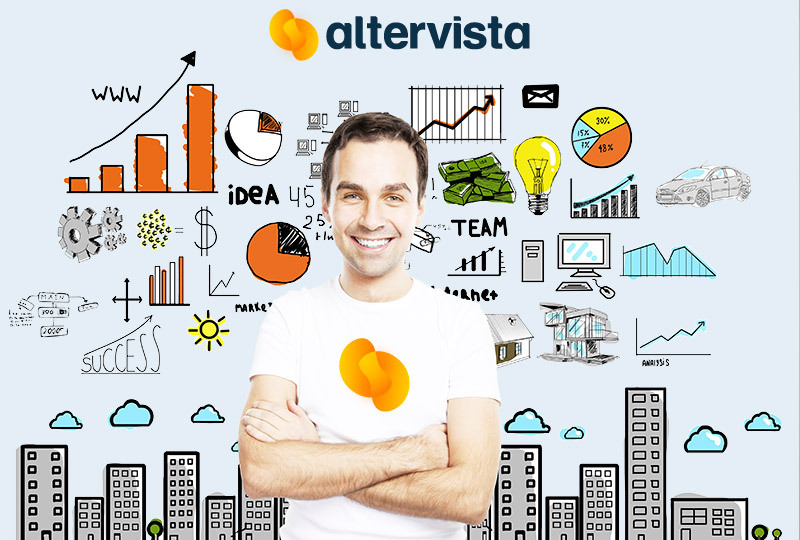 That type of advertisement it works very well in the revenue system we run on Altervista. 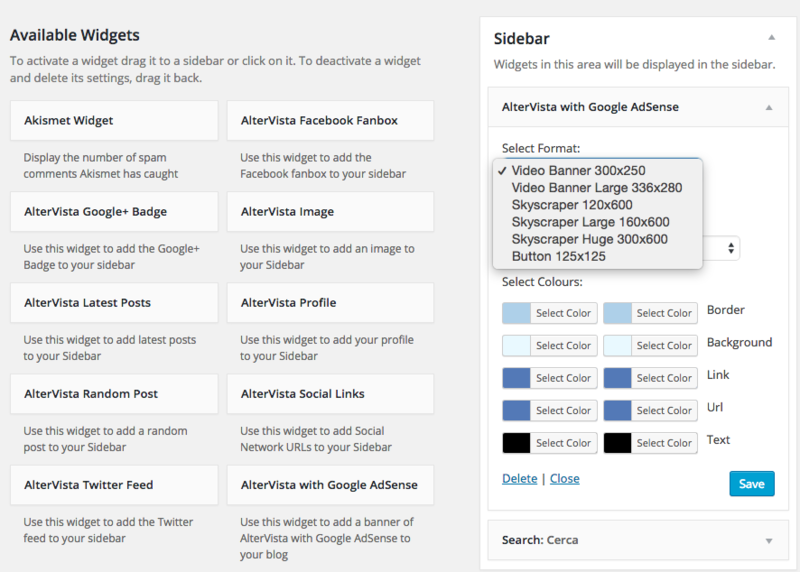 You should add a widget Altervista With Google AdSense in your blog sidebar, then select skyscraper huge (300×600), and choose colors before click on Save. To join this peculiar Adv network, that pays you both per click and per view, you first have to connect you Google AdSense account to Altervista. The increasing importance of mobile traffic made us wondering about how to place ads for the best revenue. We’ve been monitoring a dozen of blogs and we discovered that in posts with more than 250 words ads placed in the middle of the post get more click that ads placed right under the post title. So, we did place it down to get more click. If you activate the Autopilot to manage adv on your blog and the mobile system on Altervista your ads banner will be placed in order to obtain more clicks at the middle of the post or right under the title. We have introduced a new banner sized 320×50 placed at the bottom of the page. Also, this banner is available by using the Autopilot and it’s part of the Altervista With Google AdSense advertisement program. It’s easy to join in, and start to earn with your blog. We found a way to gain more with less work. Less work from you, more gain for you. We called it Autopilot, it’s a new system to place best ads for your Altervista WordPress blog in just one click. It’s like hire an expert in advertising that choose best ads for your WordPress blog. 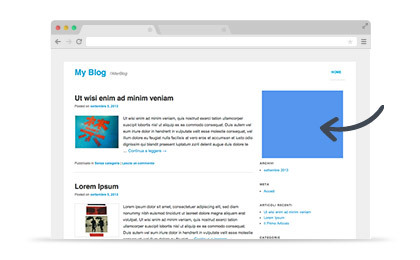 First you need a blog hosted on Altervista and running WordPress. When you activate Autopilot you don’t need any more to pick a banner with widgtes or insert a code. We do all the work, instead of you. We select advertisements which best fits for your website, depending on current rates and on your installed WordPress theme. Our goal is to find the right balance between your earnings and the browsing experience of your visitors: enough banners to gain without bothering none. If you want to change a few things or the whole advertisements setting you can just turn off the Autopilot, choose your favorite ads and insert them by hand. 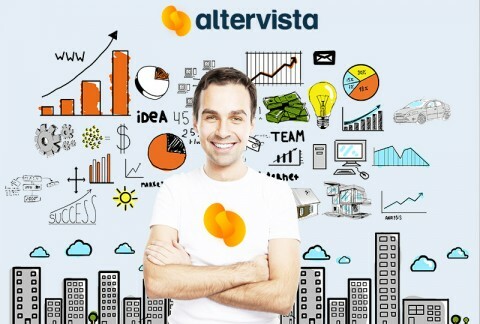 If you want to ask something about earn with your WordPress blog hosted on Altervista, please write here. Start a blog on Altervista gives you the opportunity to use one of the best blogging software available: WordPress. Manage a blog on Altervista gives you also the chance to earn money, if you decide to display ads on your pages, and if you do you can use the most popular ads network available to monetize your content: Google AdSense. 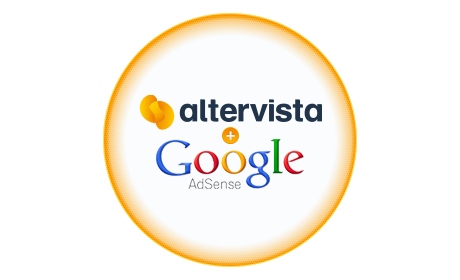 Altervista and Google AdSense are now linked in a partnership that has generated Altervista With Google AdSense adv network. It’s a peculiar adv system that pays you both for impressions and clicks on ads. On Altervista you can start a website for free. Advertisements on your website, or blog, are not mandatory, but if you decide to display ads on it you gain money and you’ll be paid both for page views and clicks. 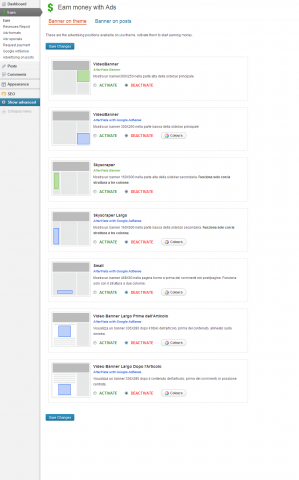 Insert ads on an Altervista blog is pretty easy. We offer WordPress to run blogs we host and we’ve set a one click system to display ads on your website. This is the WordPress dashboard customized by the Altervista team. 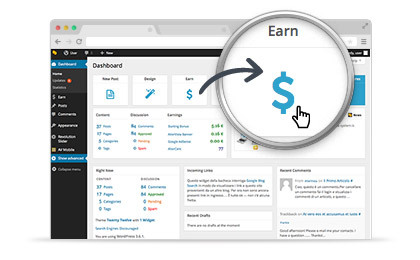 Click on Earn to start and go to the earning setting page. 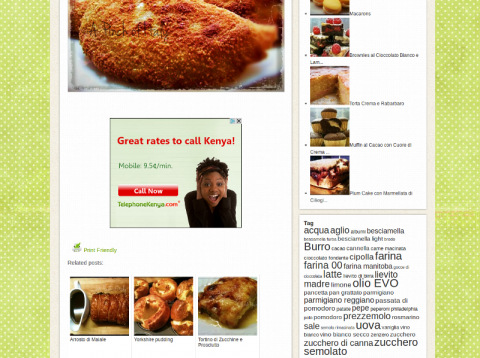 In this page you can choose different banner size and adv networks. Adv networks on Altervista are two: Altervista Banner and Altervista With Google AdSense, you need a Google AdSense account to join this network, and link it to Altervista. You can both create or associate to Altervista your existing Google AdSense account on this dashboard. Talking about banner size: there are many of them but the best reward comes from Altervista banner 300×250, displayed on the top of the page. If you want a second position choose the 728×90 (at the top of the page). Even better, for your earnings, is to mix up adv networks and join both of them: Altervista Banner and Altervista With Google AdSense. For this network, born in partnership with Google, we suggest you to insert Large Video Banner 336×280 both at the top and at the bottom of posts. 4) AD IS ON THE SIDEBAR AND YOU START TO EARN! 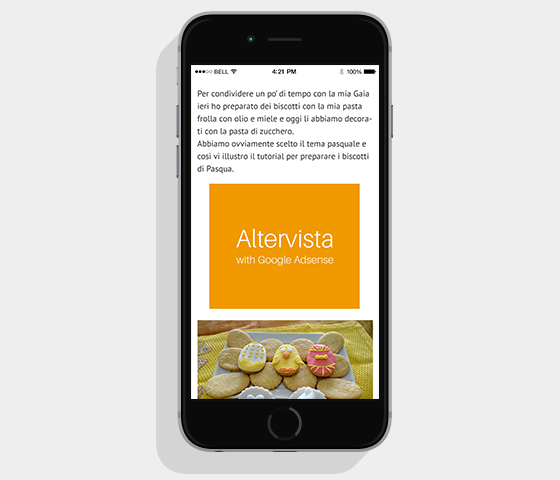 Altervista Banner is a ready to use network: as you click on a banner size, and save settings, you can see the advertisement on your blog sidebar. Instead Altervista With Google AdSense banners: for displaying these ads you need to have an approved Google AdSense account and it may takes some minutes, or even one hour, to see them on your website. No puzzling about how to insert Google Adsense ads into your posts: we’ll taking care of it. 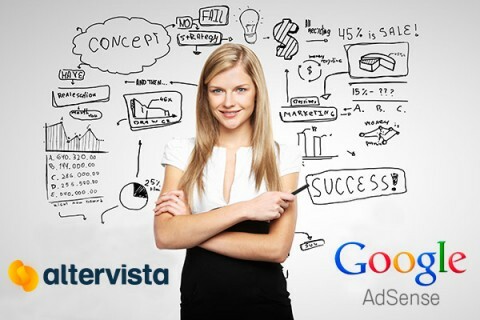 At Altervista we developed a joint with Google AdSense that allow you to display Altervista With Google AdSense advertisements on your free of charge Altervista website. By updating Altervista WordPress at the latest version available, or by updating Altervista Optimizer – a default plugin in the Altervista WordPress setting – you’ll be able to set your favourite banner positions, including the brand new positions inside posts. As you can seen on the image above there are plenty of available ads positions. We suggest you to locate a 300×250 banner in the sidebar and to insert a couple of advertisements inside posts. 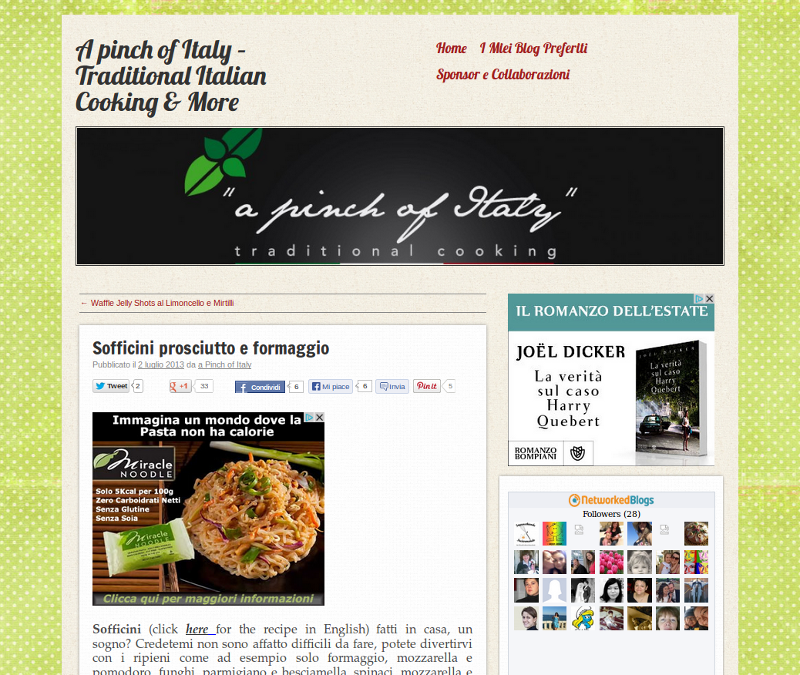 and a position at the bottom of the article, just before, in the sample image, related posts plugin. These two positions are the best way to monetize every single article in your blog. The wide known semantic skills of Google AdSense banners is working on also in the advertising program Altervista With Google AdSense, in order to offer you ads related to your contents. You can manage your Altervista With Google AdSense cash out directly from your Google AdSense account. On the Altervista Forum you call for advising or help. Google AdSense and AlterVista have been working hard over the past couple months to integrate Google AdSense and AlterVista together and now you can join AlterVista with Google AdSense. 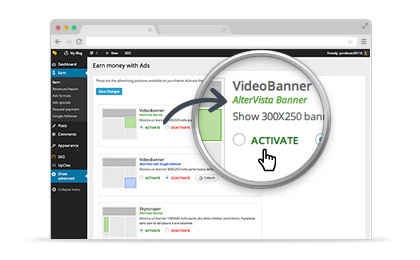 AlterVista with Google AdSense is a free and easy way for website publishers hosted by AlterVista to earn revenue by displaying Google ads on their website. AlterVista with Google AdSense can help you turn your content into a new revenue stream by placing ads strategically on your website, blog, forum or gallery. If you implement AdSense for Content Google will deliver ads which are relevant to your content and you will earn money both with impression and click on the ads. If your site registered 1,000 page views and 100 unique visitors during the last 30 days, sign up for AdSense by logging into your AlterVista control panel and create a Google AdSense account or associate your AlterVista profile with your existing Google AdSense account. For further information and support: click here.